Neighborhood Partnerships is excited to announce our newest staff member, Reyna Gillet. Reyna graduated from Portland State University in 2015, and has been a Portland resident for 12 years. She is excited to work with NP to help ensure Oregonians have access to housing and better lives. 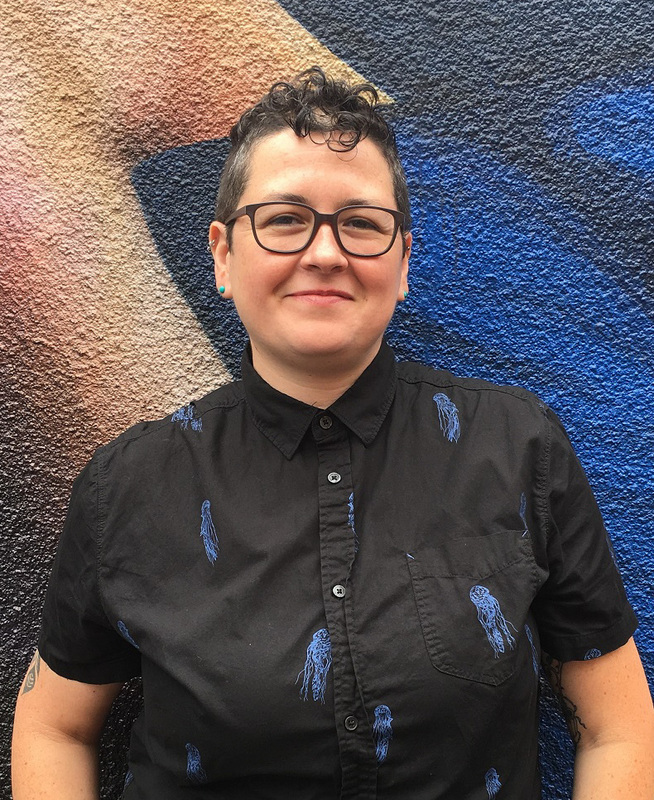 She has been an organizer for over 10 years, getting her start in grassroots organizing around LGBTQ issues and labor. Part of her interest in organizing came from her family, who worked the fields in Delano, CA. in the 60s. She enjoys outdoor adventures with friends, cooking, and sharing meals. She is originally from Fresno, California. I’ve lived in Portland for 12 years. I graduated from Portland State in 2015, with a BA in English and a focus on Creative Writing. I love to write, my mother always encouraged it. I’m also a certified herbalist, I enjoy communing with the plant world and all that it has to teach us. What area of expertise and interest do you have? My areas of interest are empowering my community through grassroots organizing. I’ve worked on various social-justice issues, and most recently organized workers. What does opportunity mean to you? Opportunity means to me . . . prospects to think/grow beyond what we are given. An author, living or dead I would have dinner with would be someone who recently passed that I admired, that is Anthony Bourdain. He was an advocate in his own way, who spoke up for the Lantinx community. “Despite our ridiculously hypocritical attitudes towards immigration, we demand that Mexicans cook a large percentage of the food we eat, grow the ingredients we need to make that food, clean our houses, mow our lawns, wash our dishes, look after our children. As any chef will tell you, our entire service economy—the restaurant business as we know it—in most American cities, would collapse overnight without Mexican workers.“ I would love to share a meal with him. What are you looking forward to most about this position? The best part of being an organizer, is watching the people living their lives on the margins, find their way back to center. I am looking forward to working with individuals whose lives will be impacted by collective engagement, offering them the tools to exercise their democracy – and to build a life with stable housing.